We have some busy weekends coming up, all wonderful things and things I cannot wait for, BUT with 3 kids it is always going to be hectic! So this weekend gone, was a productive weekend and we got lots of jobs ticked off. I also was sent a cosy night in bundle from Home Bargains. This made us stop, which as a family sometimes you really do have to make yourself do. There is always something that needs doing, or completing but this time we stopped! I think all of those make a great cosy night in! 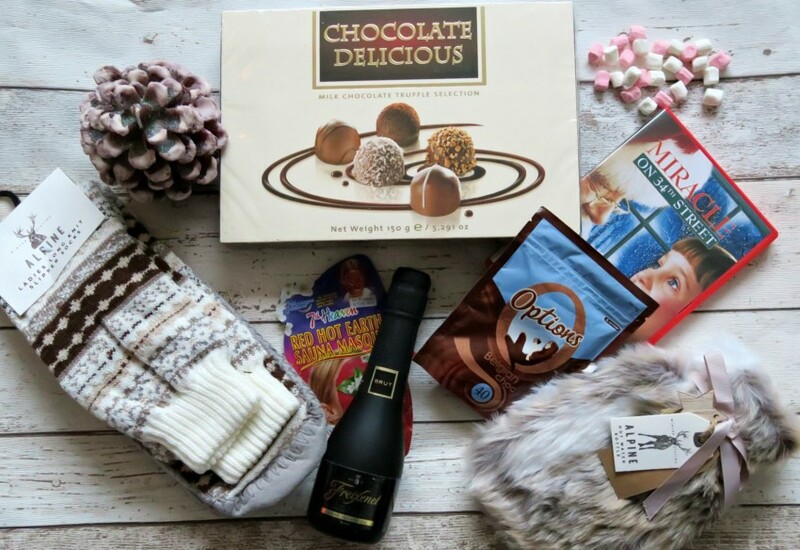 We have socks, hot water bottle, chocolates, Christmas DVD, hot chocolate, marshmallows, a pin cone candle, bottle of cava and a face mask. 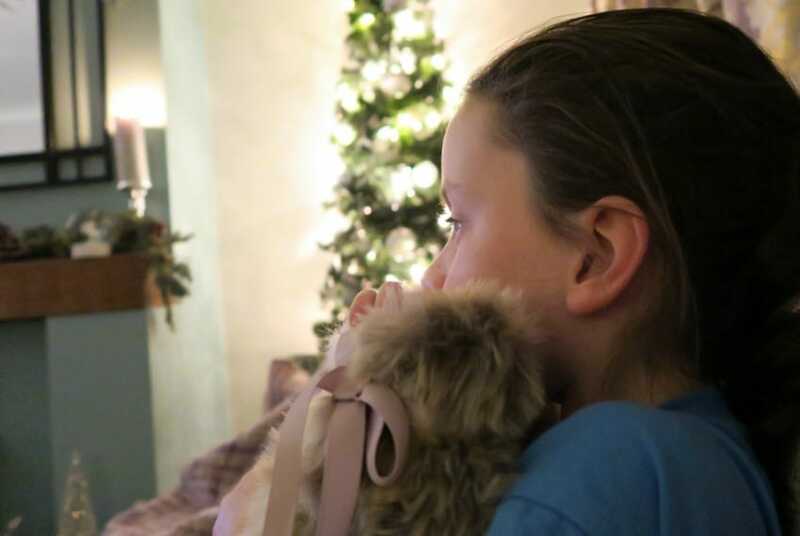 We popped the DVD on, the kids had seen Miracle on 34th Street before, so I was looking forward to watching it with them. 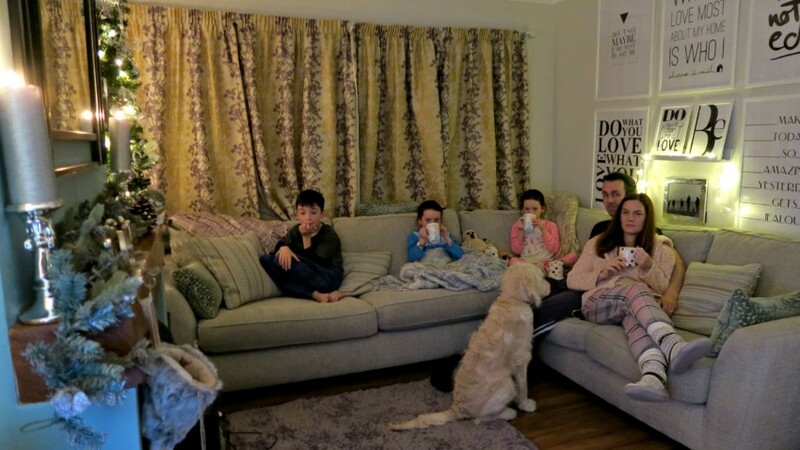 The hot chocolate and marshmallows went down a treat, I popped on my cosy slippers and enjoyed some family time together. As you can see I already have my Christmas decorations up, so it was feeling so cosy, this is when I love the winter! 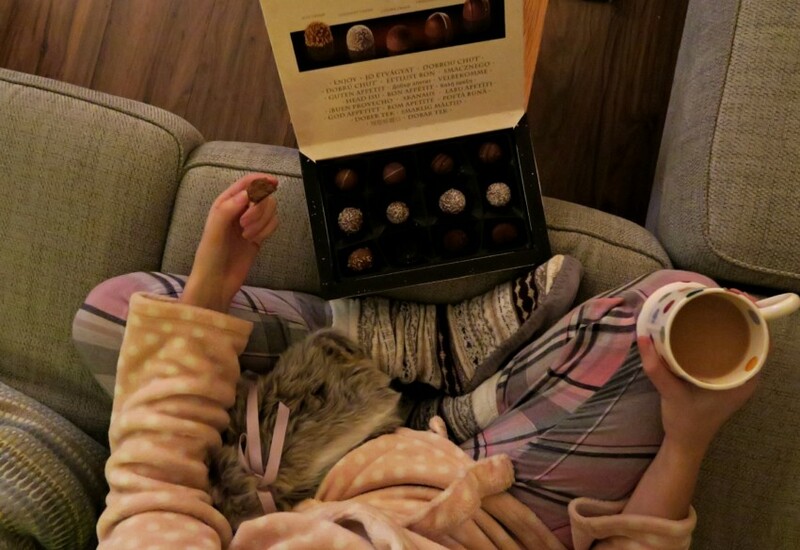 You can’t have a cosy night in without something sweet, and these chocolates were really yummy! Even though I only ended up with about 2!! I have never been to Home Bargains before, but I was surprised by the bundle they sent and what a variety of things you can purchase there. Even mini hot water bottles, which quickly got claimed by Sofia! 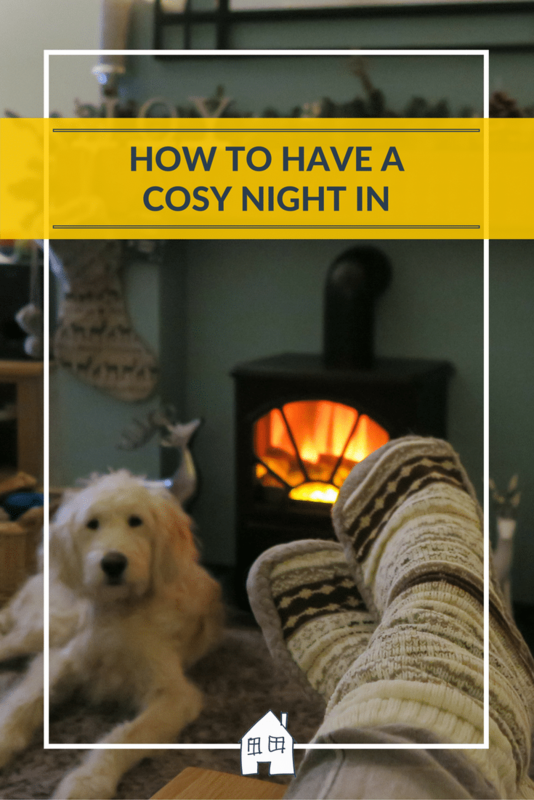 I loved my cosy night in, and I think it has made me realise we need to do this more often and the winter is perfect for just that. You guys looks so snug, and the little fire looks beautiful! Love a cosy night in! 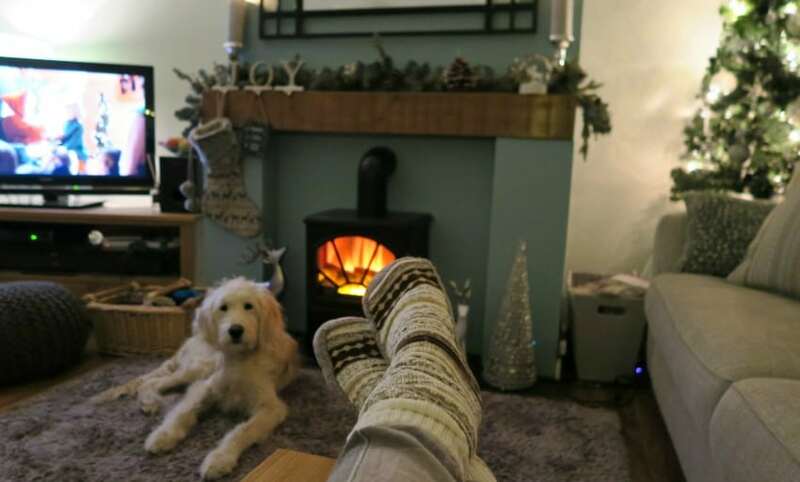 Oh yes, you CANNOT beat a cosy night in. Every night I have is basically a cosy night in. PJs on, stove lit, chocolate, what’s not to love? I am a fan of home bargains I must say, they sell almost everything and the prices are great, end up spending a fortune every time I go! Also, I love the way the dog is watching you like a hawk, probably hoping someone will share the treats!